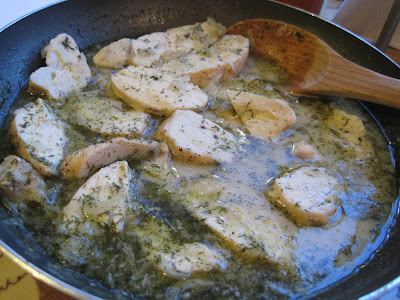 The other evening, I made one of our favorite dinners: chicken in a sauce of dill, chicken broth, white wine, Dijon mustard, and shallots. It's very simple. I've blogged about it before, and the recipe is in that blog post. 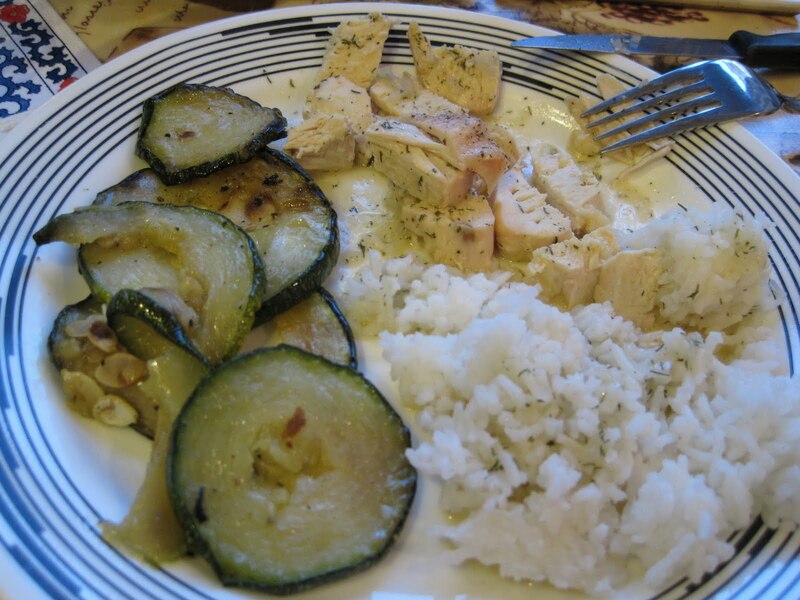 We ate our chicken with rice and grilled zucchini. A quick and yummy dinner! Too bad our fresh dill is shriveled and ready for the trash - fresh dill would have made this even tastier.